Thick, dry toenails can become a problem if left untreated. These can be very difficult to cut and, when trimmed, they may splinter and break. To avoid any of these from happening, toenails must be softened first. You don't need to go for a pedicure to have this done; you can do it yourself at home anytime, even when you are reading a book. If your toenails have become painful a visit to your podiatrist is a must as toenails may become ingrown or infected with fungus. Soak your feet for 20 minutes in warm water with 2/3 of a cup of sea salt. Dry your feet thoroughly. This is a "must do" before any trimming is done to toenails. 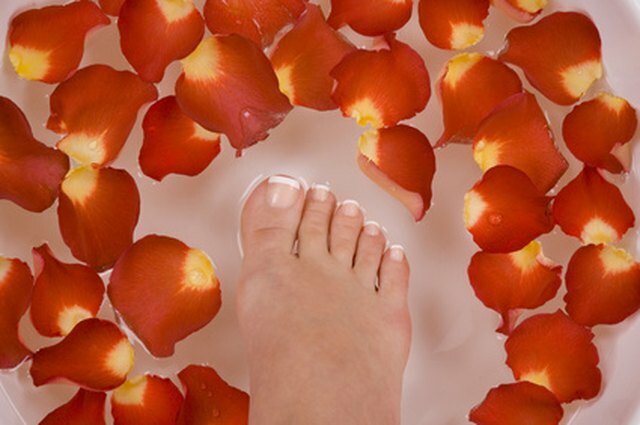 A sea salt bath will soften your feet and toenails and also reduce the risk of any possible fungus infection and assists in the rejuvenation of cells. Soak your feet in warm water for 10 minutes before going to bed. Dry them thoroughly. Rub shea or cocoa butter into the toenails. Slip your feet into cotton socks overnight. Have a warm shower in the morning. 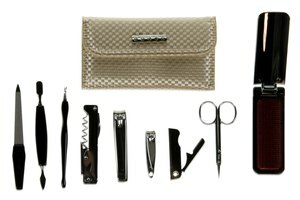 Toenails will have softened and you can proceed to cut them or file them. When your toenails are too thick and you have scheduled a visit to your podiatrist, do this the day before the visit. It will ease the podiatrist's job and will be easier on your toenails, too. Soak your feet for 15 minutes everyday in apple cider vinegar if you suspect that the cause for your thickened toenails may be a fungus infection. 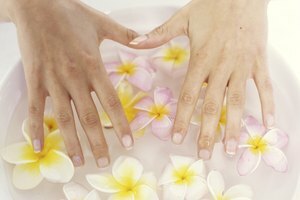 Dry your feet and apply tea tree oil to the affected nail and under it. This anti-fungal and antimicrobial oil treatment will clear the problem. If after 15 days it still hasn't cleared, consult your doctor.